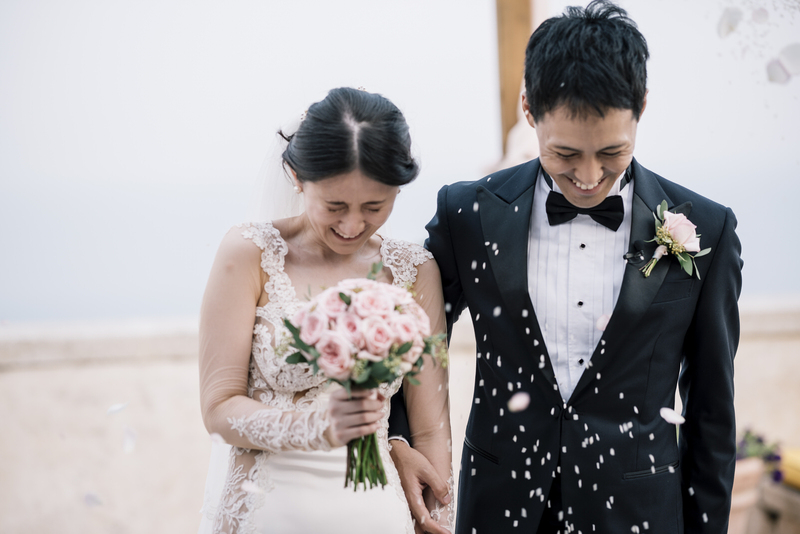 This romantic wedding on the Amalfi coast between Kayo and Hiroyoshi was defined by the softness of the range of their chosen colours ,which, in turn reflected the elegant and refined characters of the couple. 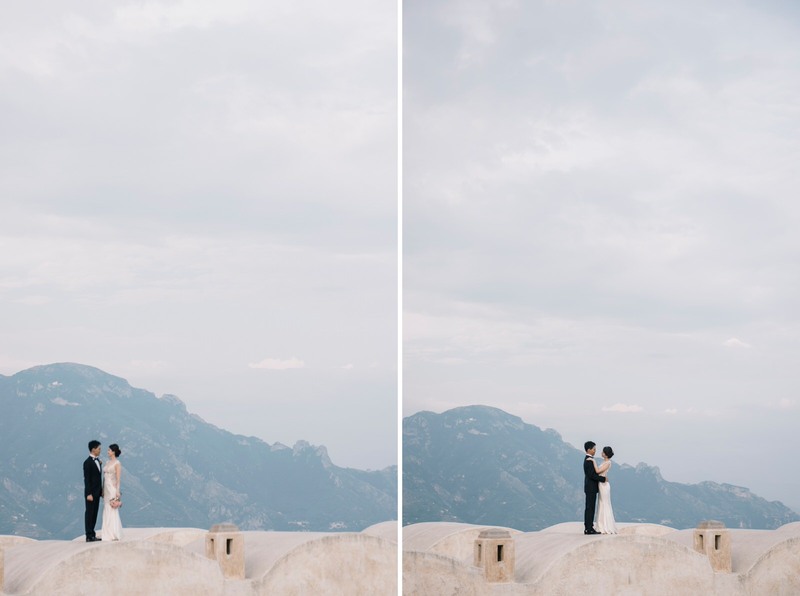 The Santa Rosa Monastery, a seventeenth century building perched on the spectacular promontory of Conca dei Marini, just a few minutes from Amalfi, was the backdrop for the ceremony and celebrations. 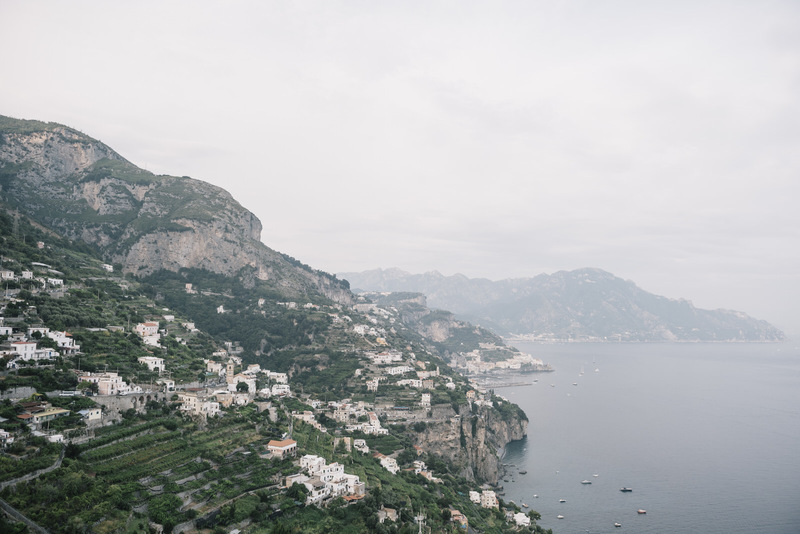 The Amalfi Coast is a succession of towns of varying size, each of which boasts a unique charm, which emanates from the sea, the alleys, the white houses and the rich, wild vegetation that surrounds them. 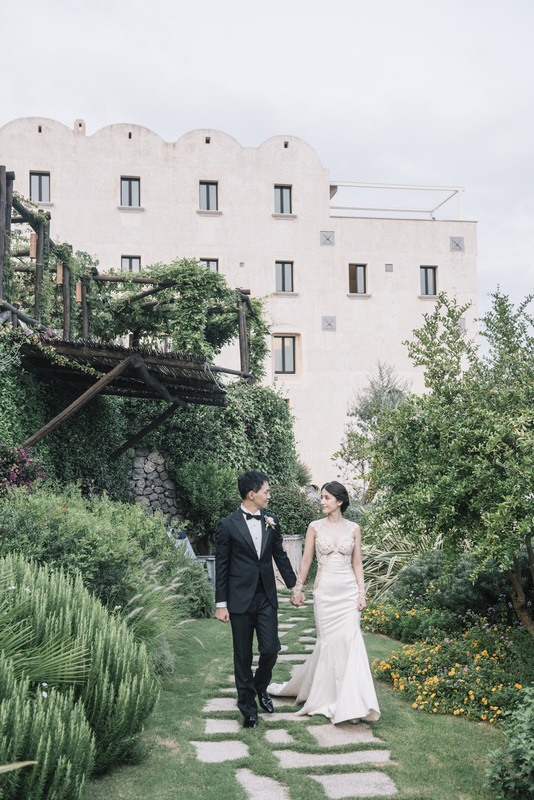 Kayo and Hiroyoshi chose the short stretch from Atrani to Conca de Marini for a romantic wedding with delicate and light tones, in close contact with the sea. 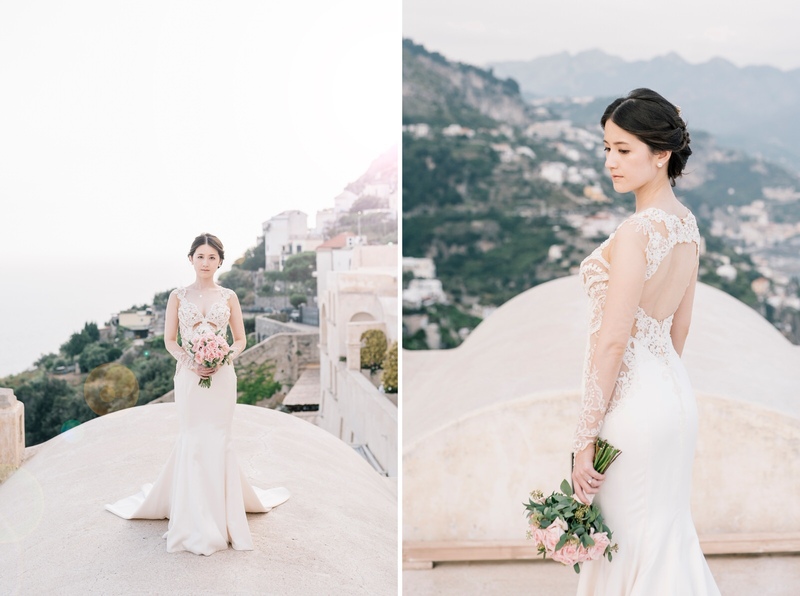 Before meeting Hiroyoshi for the ceremony, we took advantage of the vibrant colours and atmosphere a of Atrani, with its white houses and the sea in the background to get some shots of Kayo in her soft white dress in perfect harmony with her surroundings. 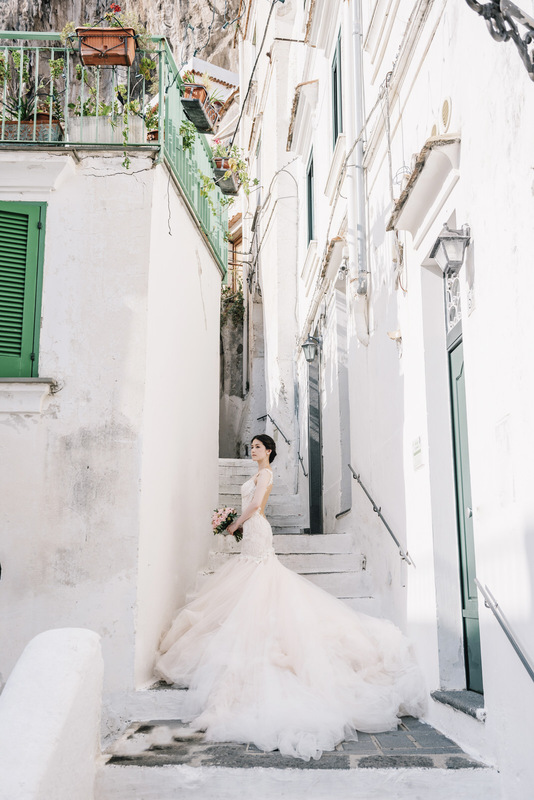 Kayo wore Zenia, a dress from the “Florence by Night” collection by Galia Lahav, with an embroidered bodice and a large scale applique, a deep illusion neckline on the back and a soft two-tone handkerchief skirt that reflected the soft sea breeze. 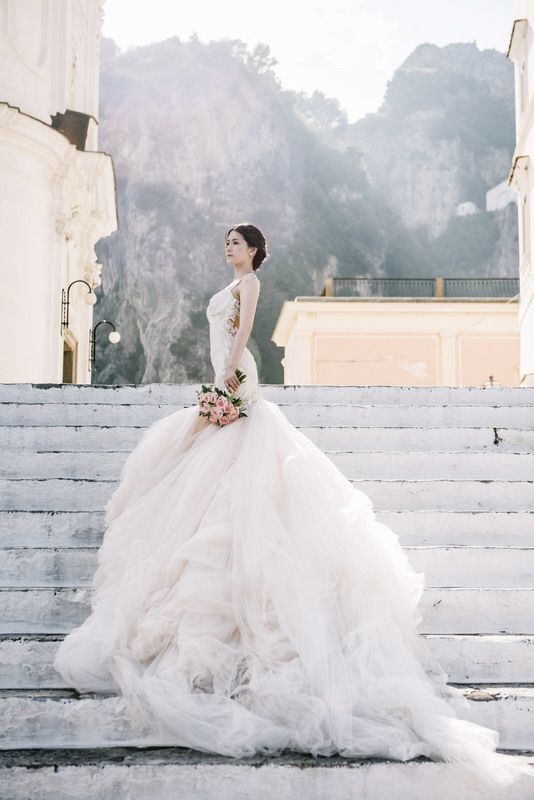 Her appearance was complemented by a tall soft hairstyle, light make-up and a delicate bouquet of pink roses. 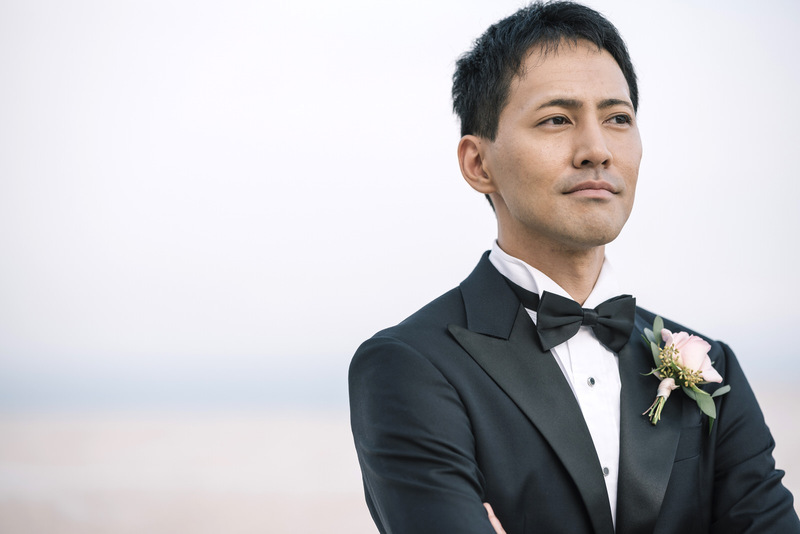 Hiroyoshi payed homage the Japanese tailoring tradition, opting for a very elegant black tuxedo by Azabu Tailor and Regal Shoes. 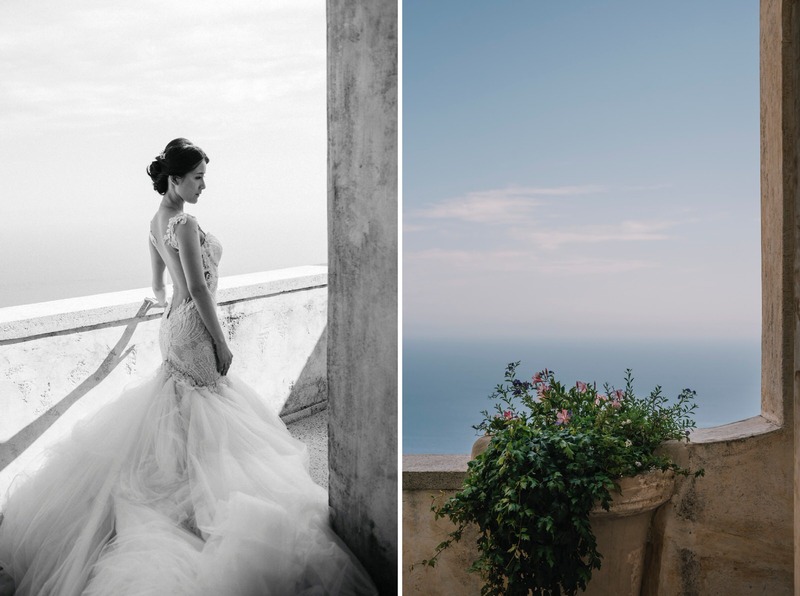 Perched on the edge of the cliff, standing in soltitude this 17th-century monastery dominates the part of the coast that connects Positano and Amalfi. 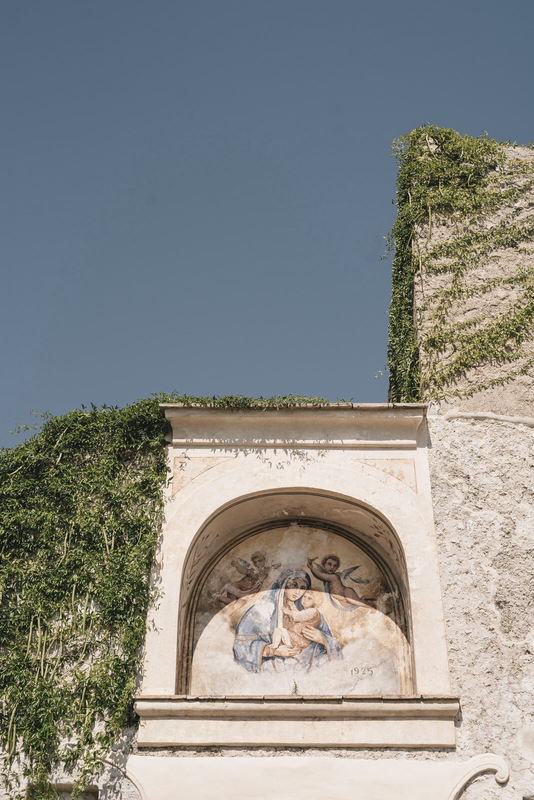 After renovations that aimed to preserve its historical heritage, the monastery has become a boutique hotel and a luxury spa keeping its distance from the more livle aspects of life in the town itself. 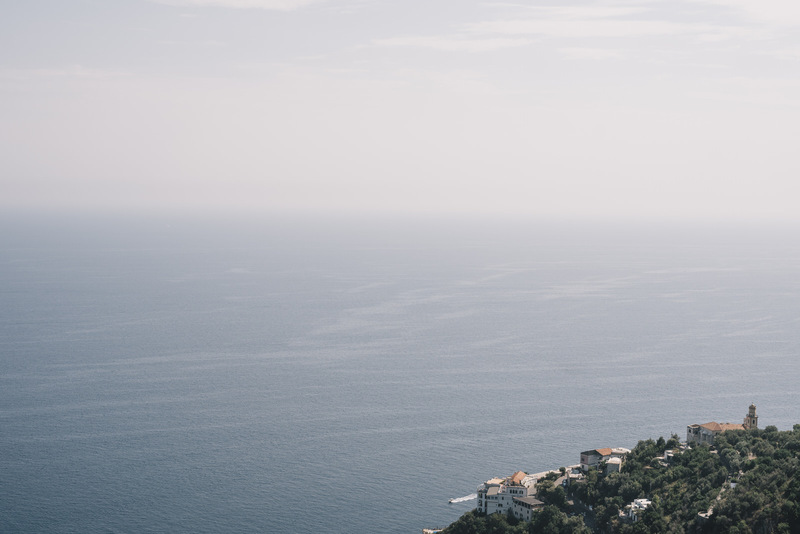 The overhanging swimming pool, the generous and lush gardens and the panoramic terrace are just some of the characteristics that make this location a place full of charm and poetry. 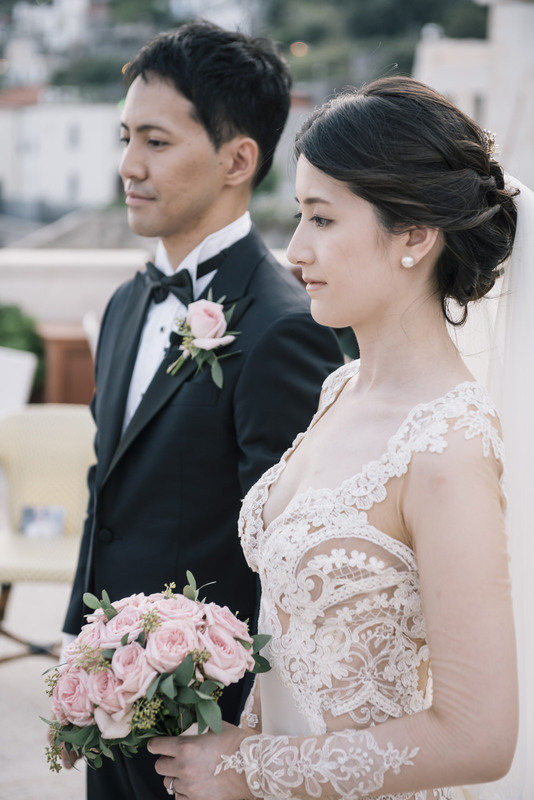 Kayo and Hiroyoshi wanted to exchange their love vows on the Terrazza Tramonto, on another floor of the hotel. 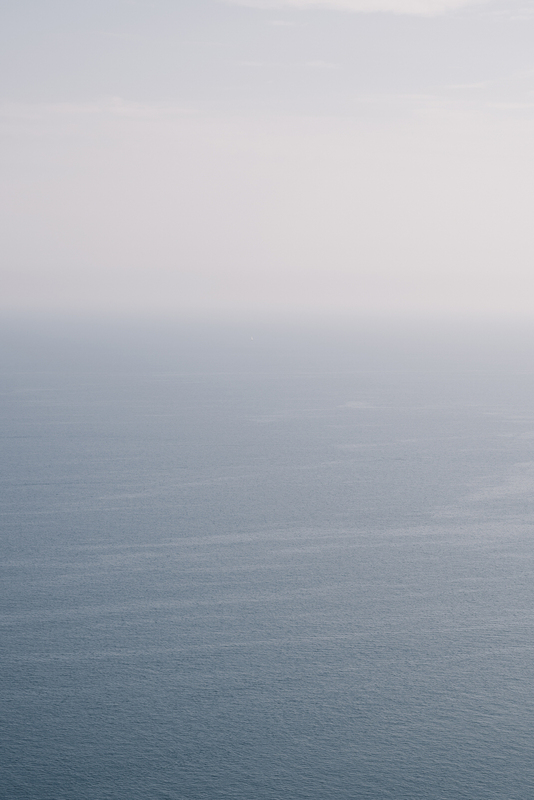 From here, you can enjoy a vast and wonderful panorama that stretches from Positano to Amalfi. 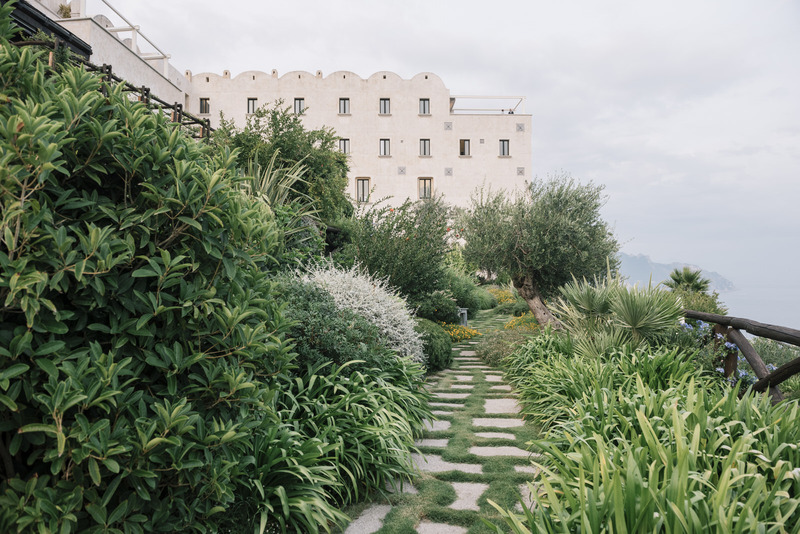 The gardens of the Monastery also deserve a special mention. 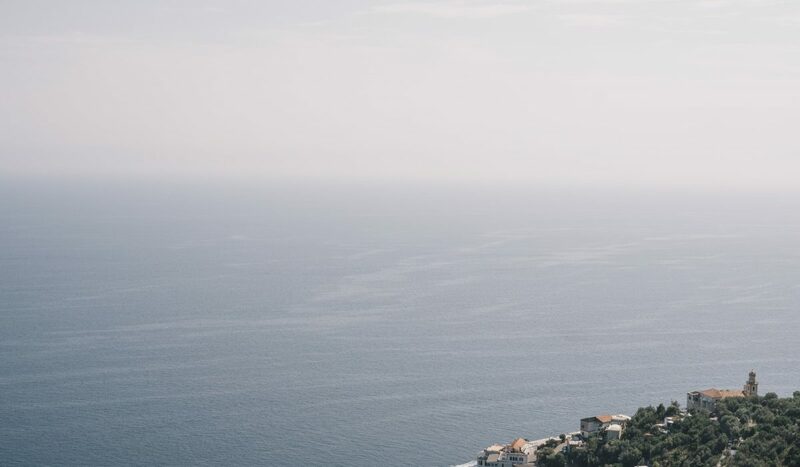 They are a real semi-tropical paradise and undoubtedly contribute to make this location a masterpiece of architecture and landscape design, which from the high terraces crosses a series of cascading gardens that are on several levels until reaching the spectacular overflow pool on the cliff. 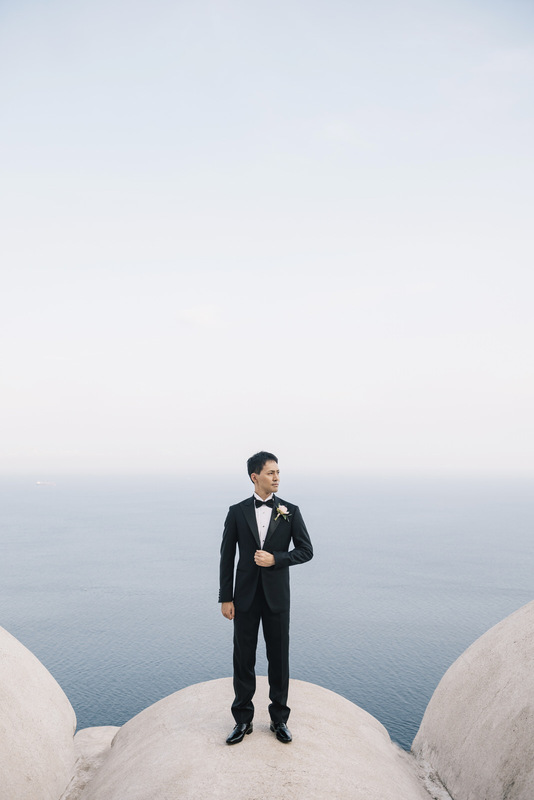 Kayo and Hiroyoshi could not choose a more magical location for their special wedding on the Amalfi coast. 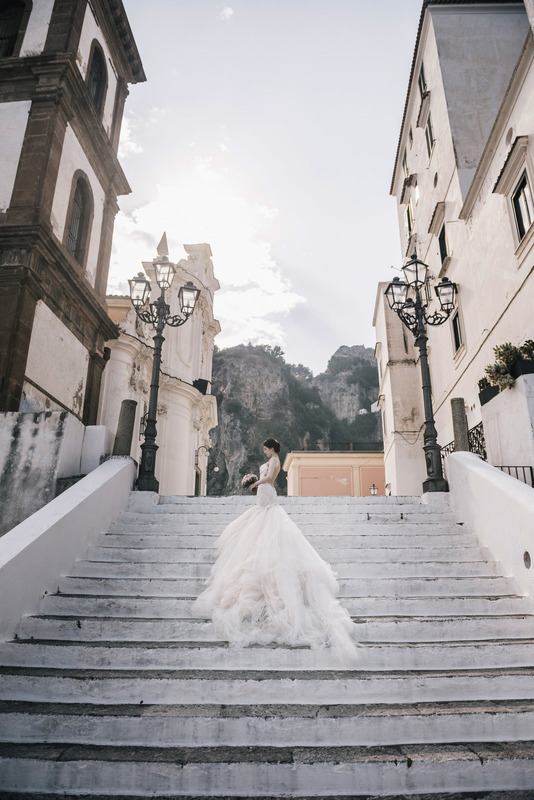 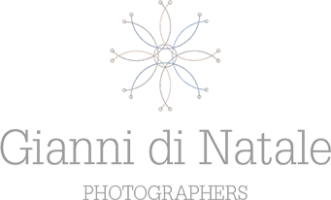 If you are planning your romantic wedding on the Amalfi Coast, take a look at our previous blog post Delicate shades of pink for this destination wedding in Amalfi, Alyson & Dan and get in touch now, we would love to tell your story!